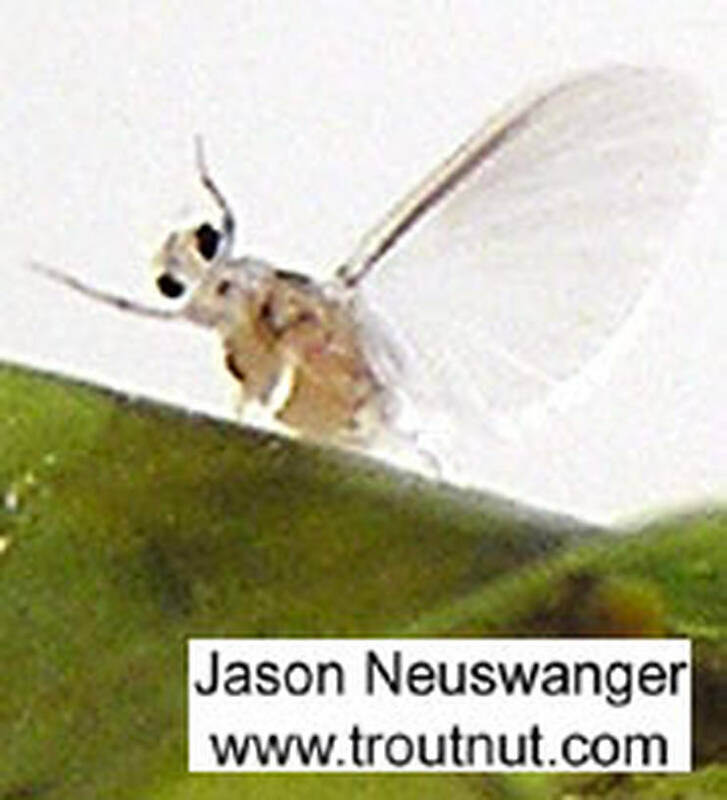 This mayfly was collected from unknown on August 5th, 2004 and added to Troutnut.com on January 19th, 2006. Here's a goofy picture of a Caenis dun falling off the back of a leaf, never to be seen again. These mayflies are very tiny and fragile, and very hard to capture and photograph without damaging. This little dun hatched from the nymph in a tub of nymphs while I was picking through for aquatic specimens to photograph... I grabbed the leaf it hatched onto and tried to take some pictures but it got away after about half a picture.